Before Bennett was born I wrote a post about the Solly Baby wrap and said I'd give a review on it once I gave it a try. Well Mommas, I'm obsessed. I love it so much that I've gotten three of them!! It has been so wonderful being able to wear Bennett. I wish I had done it with Campbell but I never found any baby wearing gear that I liked. 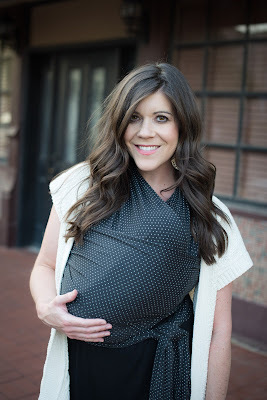 This wrap makes me feel cute and I always attract a lot of attention when I'm wearing it in public. So many people always make a comment about how sweet it is or how tiny my baby looks. I still use my stroller a lot, especially if Bennett has fallen asleep in the car seat. But any time I have Campbell and Bennett, I always use my Solly because it's way easier since I have two free hands. When we go out to eat, I put Bennett in the wrap. It's easy and I don't have to worry about finding a spot for the big carrier. Overall, can't say enough great things about it! The fabric is so soft and it's thin too which is great for these hot summer months. I wondered how I would be able to handle tasks with a toddler and a newborn but this has made everything completely do-able. I wear Bennett while I'm making Campbell's meals, while I fold laundry, go for walks, take Campbell somewhere fun....it's made life easier. And anything that can make life easier these days gets an A+ from me. 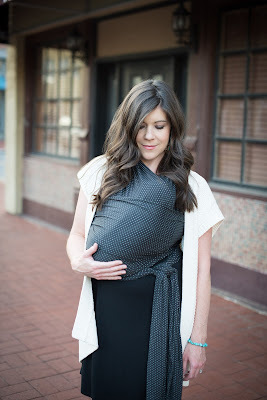 If you have a small baby or are expecting one soon, I cannot rave enough about the Solly wrap! It's been a lifesaver! Sometimes these companies give out sizeable packages of their free baby stuff offers so that you can consume them for a longer period.